Werner H. Erhard is recognized world-wide as a business, management, and humanitarian leader, with an esteemed record of accomplishment and achievement at the highest levels of U.S. national policy, international peace, reconciliation and development efforts, and leadership and management theory and practice. His creation of innovative ideas and models of individual, organizational and social transformation have impacted such diverse fields as business, education, philosophy, medicine, psychotherapy, developing countries, conflict resolution, and community building. Erhard is a recipient of the 1988 Mahatma Gandhi Humanitarian Award in honor of his “notable effort to end the starvation and hunger suffered by millions throughout the world” and is a Knight in the Sovereign Order of the Hospitallers of Saint John of Jerusalem for his lifelong dedication to helping those in need. Erhard’s international accomplishments include peace and reconciliation efforts in Northern Ireland, business leader training as part of the U.S State Department’s Russia / U.S. Project, and a life history of contributions to impoverished regions of the world, including Bangladesh, India, Ethiopia, Mexico, Cambodia, Mozambique and many others. A former member of the U.S. / Costa Rica Presidential Advisory Commission and Co-Founder of The Hunger Project, a global United Nations NGO committed to the sustainable end of abject poverty, Erhard has founded and led several global foundations and has a distinguished record of academic contributions, authored numerous publications, and led thousands of courses across the globe on leadership and creating transformative results. In addition to his intellectual contributions, Erhard has contributed millions of dollars and raised from his constituency countless millions more for various humanitarian causes and organizations. He has consulted for numerous Fortune 100 corporations and charitable and governmental entities, including IBM, NASA, Lockheed, The Hartford Group and Africare to name a few. In all, more than two million people around the world have participated in his programs. 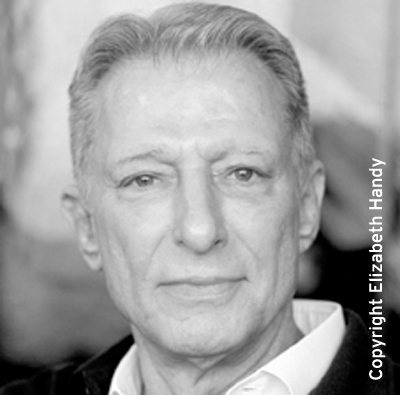 Erhard is a contributor in the fields of philosophy and language, and a leading thinker in leadership, management and integrity. His ideas have been incorporated by a majority of Fortune 100 companies and recognized by Fortune magazine’s 40th Anniversary issue as a major innovative thinker in shaping modern management thinking about empowerment over the last 35 years. Social scientist Daniel Yankelovich said of a study he conducted on participants of one of Mr. Erhard’s programs for the general public: "Several of the study’s findings surprised me quite a bit, especially the large number of participants for whom The Forum proved to be 'one of the most valued experiences of my life'. This is not a sentiment that people, especially successful, well-educated people, express lightly." The Werner Erhard Foundation - Non-profit organization that funds and fosters research, scholarly endeavors, and international crisis relief. The Hunger Project - Non-profit, United Nations NGO working for the sustainable end of global hunger. The Breakthrough Foundation - Non-profit organization working with youth at risk. The Holiday Project - Non-profit organization of volunteers who visit people confined to institutions during holidays and throughout the year. The Education Network - Non-profit organization empowering educators in accomplishing with their students what inspired those educators to enter the educational field. Prison Possibilities, Inc. - Non-profit organization to leave prisoners able to create a future for themselves not given by their past. The Mastery Foundation - Non-profit organization enabling and empowering grassroots peace and reconciliation leaders. The CareGivers Project - Non-profit organization empowering care givers to take care of themselves as well as those for whom they were caring so as to not be disabled by burnout. Northern Ireland Peace Process – in collaboration with Peter Block, designed courses and trained clergy and grassroots leaders in transformation skills and perspectives in leadership and integrity to effect peace and reconciliation. Consultant to Northern Ireland para-military entities to allow them to transform from armed militant status to empowered community support groups. Russia / U.S. Project – trained Russian business professors, emerging business men and women, and Russia’s first Parliamentarians to prepare them for effective leadership in rapidly changing legal, economic and business environments. Integrated, worked with and supported numerous voluntary organizations to avert famine in Cambodia and Ethiopia, respond to earthquakes in Mexico, and combat the effects of flooding in Bangladesh. Mozambique Project – supported shipment of over $5 million in goods donated by numerous corporations. S.H.A.R.E. India – with Ramakrishna Bajaj built a charitable trust that established clinics to vaccinate children and educate mothers on how to protect infants from intestinal diseases. With psychiatrist Dr. Robert Shaw, created and delivered a series of programs for over 1,400 psychotherapists to free them from the constraints imposed on their practice of therapy by their network of unexamined ideas, beliefs, biases, social and cultural embedded-ness, and taken-for-granted assumptions. Sponsored ten Annual Theoretical Physics Conferences that each year brought together 15 leaders in the field to work on major unresolved issues in the field (referenced in The Black Hole War: My Battle with Stephen Hawking to Make the World Safe for Quantum Mechanics, by Leonard Susskind, Little, Brown and Company, July 2008). 1971 Founder, Erhard Seminars Training Inc. / est, an educational corporation. 1983 Co-Founder, Action Technologies Inc.
1984 Founder, Custom Marine Technologies, Inc.
1984 Founder, Transformational Technologies Inc. / Tekniko Inc.
1988 Founder, Werner Erhard and Associates International Inc.
Yale Law School, Yale School of Management, Harvard Medical School, Harvard Law School, Harvard Business School, Harvard University John F. Kennedy School of Government, United States Air Force Academy, Oxford University (England), University of Munich (Germany), Erasmus University School of Management (Rotterdam, Netherlands), Massachusetts Institute of Technology Sloan School of Management, University of Rochester Simon Graduate School of Business, Stanford University, DePaul University, Texas A&M University, University of Nebraska, College of Marin, California Institute of Technology, Gruter Institute, Academy of Sciences (Moscow, USSR), Center for Psychological Studies in the Nuclear Age, Znaniye Society (Moscow, USSR), Student Youth Institute of Bombay (India), City College Lecture Series on the Politics of World Hunger, Association of Elementary School Administrators of Los Angeles, Third Annual Convention of Instructors, Symposium for Educators. Congress of German Psychiatrists and Psychologists, Kings College Hospital (London, England), California State Psychological Association, California Association of School Psychologists and Psychometrists, Mount Zion Hospital School of Psychiatry, American Psychiatric Association, National Alcoholism and Drug Abuse Conference, 6th World Congress of Social Psychiatry, Yeshiva University Albert Einstein College of Medicine, Stanford University School of Medicine, 6th International Congress of Group Psychotherapy, American Dietetic Association, National Health Federation, American Orthopsychiatric Association, Sequoia Hospital, California Dental Association, International Transactional Analysis Association, University of Louisville School of Medicine. National Association of Police Community Relations Officers, The May Lectures (London), State of California Department of Corrections, UNESCO, Esalen Institute, Young Presidents’ Organization, The Mastery Foundation, Center for Contextual Studies, Africare Development Team, and numerous others. “The Mind’s Dedication to Survival”, by Werner Erhard, Gilbert Guerin and Robert Shaw, The Journal of Individual Psychology, Volume 31, Number 1, May, 1975. “The est Standard Training”, by Werner Erhard and Victor Gioscia, Ph.D., The Journal of Individual Psychology, Volume 31, Number 1, May, 1975. “The End of Starvation: Creating An Idea Whose Time Has Come”, by Werner Erhard, The Hunger Project, 1977. “est: Communication in a Context of Compassion”, by Werner Erhard and Victor Gioscia, Ph.D., The Journal of Current Psychiatric Therapies, 1978. “Some Aspects of the est Training and Transpersonal Psychology: A Conversation”, by Werner Erhard and James Fadiman, The Journal of Transpersonal Psychology, Vol. 9, No. J, 1977. “Being Well” by Werner Erhard, Victor Gioscia, Ph.D. and Ken Anbender, Ph.D., Chapter 5 in Beyond Health and Normality: Explorations of Exceptional Psychological Well-being, Edited by Roger Walsh, M.B., Ph.D., MRANZCP and Deane H. Shapiro, Jr., Ph.D., Van Nostrand Reinhold Company, 1983. “Ethiopia, 1988”, by Werner Erhard, The Union Leader, Manchester, N.H., January 12, 1989. “In Training, Free Choice is the Key”, by Werner Erhard, The Atlanta Constitution, October 11, 1989. “Creating Leaders: An Ontological/Phenomenological Model”, Erhard, Werner H., Jensen, Michael C., and Granger, Kari L, - Chapter 16 in The Handbook for Teaching Leadership: Knowing, Doing, and Being, Edited by Snook, Scott A., Nohria, Nitin N., and Khurana, Rakesh, Sage Publications, Inc., 2011. 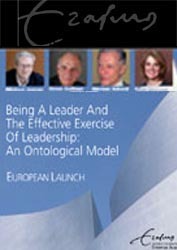 “Being a Leader and the Effective Exercise of Leadership: An Ontological Model (PDF File of PowerPoint Slides)”, Erhard, Werner, Jensen, Michael C. and Granger, Kari L., (March 2010). Harvard Business School NOM Unit Working Paper No. 09-124; Barbados Group Working Paper No. 09-01; Gruter Institute Squaw Valley Conference 2009: Law, Behavior & the Brain; Simon School Working Paper No. FR 09-27. Available at SSRN: http://ssrn.com/abstract=1392406. “The Transformational Experiences that Leave Ordinary People Being Leaders, Access to a Context that Uses You, and Education as Stretching the Mind”, Erhard, Werner, Jensen, Michael C., Granger, Kari L. (April 2010). Available at SSRN: http://ssrn.com/abstract=1513400. “Integrity: A Positive Model that Incorporates the Normative Phenomena of Morality, Ethics and Legality”, Erhard, Werner, Jensen, Michael C. and Zaffron, Steve, (March 23, 2008). Harvard Business School NOM Working Paper No. 06-11; Barbados Group Working Paper No. 06-03; Simon School Working Paper No. FR 08-05. Available at SSRN: http://ssrn.com/abstract=920625. “A New Model of Integrity: The Missing Factor of Production (PDF file of Keynote and PowerPoint Slides)”, Jensen, Michael C., Granger, Kari L., Erhard, Werner (March 2010). Harvard Business School NOM Working Paper No. 10-087; Barbados Group Working Paper No. 10-03. Available at SSRN: http://ssrn.com/abstract=1559827. Barbados Group Members: Sir Christopher Ball, Peter Block, Allan L. Cohen, Joseph J. DiMaggio, Werner Erhard, Bruce Gregory, Michael C. Jensen, Olga Loffredi, David C. Logan, Brian Regnier, Robert H. Rosen, Harry Rosenberg, Allan L. Scherr, Steve Zaffron, Michael E. Zimmerman, Mark A. Zupan. Werner Erhard speaks to Kennedy School students on his latest work: "Why We Do What We Do: A New Model Providing Actionable Access to the Source of Performance." "Being a Leader and The Effective Exercise of Leadership: An Ontological Model," led by Dr.Michael Jensen, Werner Erhard, Steve Zaffron and Kari Granger. Werner Erhard creates and shares new models and paradigms with great thinkers and universities around the world.